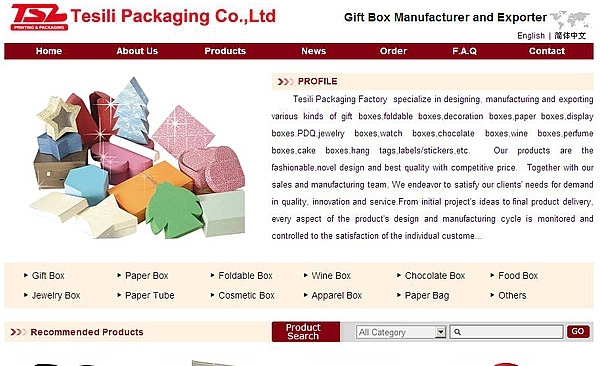 Tesili Packaging Factory specialize in designing, manufacturing and exporting various kinds of gift boxes,foldable boxes,decoration boxes,paper boxes,display boxes.PDQ,jewelry boxes,watch boxes,chocolate boxes,wine boxes,perfume boxes,cake boxes,hang tags,labels/stickers,etc. Our products are the fashionable,novel design and best quality with competitive price. Together with our sales and manufacturing team, We endeavor to satisfy our clients' needs for demand in quality, innovation and service.From initial project's ideas to final product delivery, every aspect of the product's design and manufacturing cycle is monitored and controlled to the satisfaction of the individual customer. We have strong ability to make customer's ideas comes true by using the lowest possible cost manufacturing solutions.